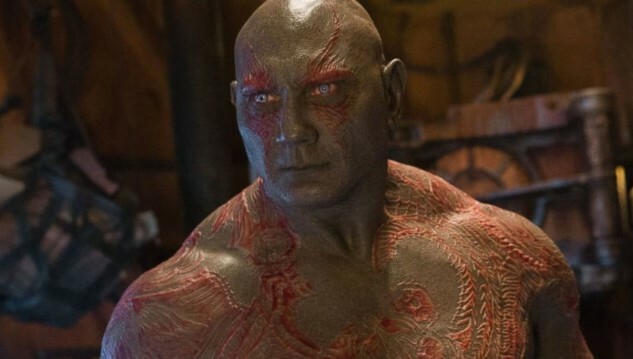 Ever since the firing of director James Gunn by Disney from his post as the godfather of Marvel’s Guardians of the Galaxy series, actor Dave Bautista has been perhaps the most vocal and outspoken of his supporters. Bautista, who has of course played the scene-stealing Drax the Destroyer in three films to date, has acknowledged the inappropriate tone and content of Gunn’s decade-old tweets while simultaneously arguing that they don’t represent the person he knows Gunn to be. And it would seem that Bautista’s devotion is deep indeed, as he is now threatening to exit the series entirely if James Gunn’s script for Guardians of the Galaxy Vol. 3 isn’t used. Speaking with Shortlist in his first interview since Gunn’s firing, Bautista said that he would be doing his friend a disservice if he wasn’t willing to step down. For Bautista, the decision apparently hinges on whether Gunn’s script is used, as opposed to whether the director is explicitly rehired to film the movie. A replacement director for Gunn has not been announced as of yet, although a number of writers have suggested Thor: Ragnarok director Taika Waititi as a possible substitute who could at least operate inside the same realm of humor and action. Bautista joins the other core members of the Guardians cast who signed a letter confirming their unanimous support for Gunn, along with a public petition signed by hundreds of thousands of fans. Early Monday morning, Bautista again took to Twitter to echo many of the same sentiments. It will be interesting to see how Disney chooses to react to one of the biggest stars in one of the MCU’s biggest series literally threatening to quit on the internet if they don’t in some way appease the supporters of a director they fired.